The Massachusetts legislature has once again introduced a bill to legalize physician-assisted suicide (PAS). Deemed the “End of Life Options Act”, it seeks to make killing oneself just another end-of-life option to be provided by a doctor. It is a further expansion of the culture of death, a description famously given to Western society by Pope Saint John Paul II in his 1995 encyclical, Evangelium Vitae. Despite vigorous public testimony regarding the dangers of assisted suicide, legislators and advocates continue to press for legalization. Advocates will talk about how “safe” the law is because no incidents have been reported. The reality is that no current law legalizing PAS contains any regulatory oversight since doctors that participates are completely immune from any criminal, civil, or professional liability. Furthermore, no researchers have examined the practice. Scholars are quoting 20-year-old data collected just prior to Oregon’s legalization. The physician self-reports compiled by these states contain grouped statistics without details. Research is made more difficult by falsely listing the cause of death as the underlying illness. It is easy to say the laws are safe when no one is really checking. They point out the carefully-crafted safeguards, but where PAS is legal, advocates decry them as barriers that must be removed. Death within six months and the mental health exclusion are the two most sought after “barriers”. What is portrayed as “dignity” for the suffering eventually becomes PAS for anyone who asks. Euthanasia is not far behind that. You will hear stories of people claiming unbearable suffering at the end of their lives. You will not hear that around 80% of people request PAS not because they have any physical pain, but because they can no longer do what they want (decreasing ability to participate in activities that make life enjoyable, loss of autonomy, loss of dignity). They want the medicine because they feel better just knowing they have it. Why? So on a bad day, they can impulsively take it? Reducing physical suffering is the proper role of medicine, not helping patients die. The bill has written into it the same inherent conflict of interests placed in all the other bills. It gives an illusion of safety by allowing only one of the witnesses to be a relative or someone who financially benefits from the patient’s death—yet a son and his girlfriend eager to gain an inheritance qualifies. Neither the patient’s physician nor anyone connected to a facility caring for a patient can be a witness, yet if a patient is in a long-term care facility then the facility must designate one of the witnesses. Why do all these assisted suicide laws have this strange clause that is such an obvious conflict of interest? Most alarming is the history of Massachusetts case law in Brophy v. New England Sinai Hospital. The state Supreme Court allowed the wife of Paul Brophy, a man in a “persistent vegetative state”, to remove his feeding tube for the expressed purpose of causing his death. The court characterized his condition as “helpless” so not worthy of equal protection. Even though the PAS bill prohibits it from anyone with a guardian, or solely because of age or disability, the Brophy precedent make this “barrier” an easy one to take down. A guardian could then request PAS without the patient’s consent leading to death-by-proxy. We cannot allow patients to kill themselves nor let doctors prescribe lethal doses of medication, especially without oversight or liability. We cannot legalize PAS here where it can so easily turn into death-by-proxy. Tell your legislators you oppose PAS. The Guardian newspaper recently published an extensive and informative article on euthanasia and assisted suicide, Death on demand: has euthanasia gone too far? I have written about how coercion is a subtle yet powerful thing–here and now in the United States. This vignette from the article demonstrates how all subtlety is lost after legalization and cultural acceptance. For all the safeguards that have been put in place against the manipulation of applicants for euthanasia, in cases where patients do include relatives in their decision-making, it can never be entirely foreclosed, as I discovered in a GP’s surgery in Wallonia, the French-speaking part of Belgium. Most medical ethicists would approve of Marie-Louise’s refusal to euthanise a patient who had been pressured. By the time she went away on holiday last summer, she believed she had won from her patient an undertaking not to press for euthanasia. But she had not reckoned with her own colleague in the practice, a doctor who takes a favourable line towards euthanasia, and when Marie-Louise returned from holidays she found out that this colleague had euthanised her patient. We have come a long way philosophically since the introduction of hospice and through the Quinlan and Cruzan cases in refusing or stopping medical care that is burdensome. This has led not only to a deeper affirmation of the dignity of life and the reality of death but also the hope in eternal life. We crossed the line when we began the push for advance directives in 1991. No longer do we decide what is burdensome in the present, but what we fear in the future. This leads to an inherent prejudice against the disabled by allowing people to declare states worse than death. This echoes the 1920 German eugenics essay The Announcement for the Destruction of Life Unworthy of Living that evolved into the Nazi T4 program. Eugenicists made the mistake of declaring others unworthy of life by legalizing things like forced sterilization and abortion. Today euthanasia advocates have begun by playing on people’s fears and prejudices through advance directives, leading them to declare themselves unworthy of life should they become disabled. Once the barriers to PAS are removed, euthanasia will quickly follow. Those advance directives filled out to refuse care under certain conditions will then be used by physicians and courts to actively euthanize people. The vignette above is the proof of it. Sometimes all people need is someone to listen to them. In our small, independent medical practice we have 30 minute appointments and often run behind because our patients need the time to talk. It helps us better understand how their lives impact their health, and it builds their trust in our care for them. Sometimes they come to us for their routine follow up when they are in crisis. We don’t cut them off and rush them out the door; we let them tell their story. They are not looking for medical advice, or any advice at all. They just need someone to listen. Working in Family Practice has allowed me to do this on a regular basis with patients. Working in the emergency department, I would do the same thing but rarely did I see anyone more than once. Co-workers and department heads keep a close eye on patient throughput and frown upon such practices that slow clinicians down. I supposed hospital-owned outpatient practices do much the same. Sure, patient greatly appreciate having their appointments at the scheduled time and quick service–until they are having the crisis and they want to talk. They appreciate that far more and are sympathetic when they know they waited because others needed it. Rural America, in particular, suffers from too much opioid abuse and too much poverty. Lack of work, loss of culture and connection, and dissolution of the family. All of these plague rural Americans. Mental health issues are thus epidemic, but there are a precious few mental health and social workers. Part of that “loss of culture” has come about because of a loss of religion. Our common worship of God naturally results in community and culture. God does not need our worship, but he asks us to do it for our own good. “Then he said to them, ‘The Sabbath was made for man, not man for the Sabbath'” (Mark 2:27). What’s an ED to do? We face overwhelming need coupled with federal mandates to take care of everyone, and we are iced over (winter pun intended) with insufficient funds or staff to do it all. Since I’m writing a lot about rural healthcare, here’s a thought: Rural America tends to be more religious than urban and suburban America. And as a Southerner, I can attest that “you can’t swing a cat” in small towns or rural areas without hitting a church of some flavor. Many of the mental health issues I have encountered in my career seem to ultimately stem from personal pain and loneliness. While I’m not denigrating the importance of those who work in mental health professions, I would say that often enough, connection and love are therapies of inestimable value. I found it somewhat surprising to see such views expressed in a popular medical resource. Religion has always been seen throughout history as something that is good for society, that is, a Common Good. That is because our human nature desires to know our Creator and to be in community; worshipping God fulfills these basic human needs. Our government and medical system cannot possibly care for the overwhelming distress in our society. Perhaps we have so much of it because we got away from religion in the first place. Public testimony provided by Kris Correira, PA-C addressed an issue changed in the legislation filed in 2019. It eliminated the attack on religious freedom. In both 2017 and 2018, I publicly testified before the legislature regarding the dangers of the assisted suicide bill. In particular, I alone focused on the attack on religious freedom not part of any other PAS legislation. Those of you hearing me speak at the Fatal Flaws showing talk about this point. 15(4)(a) Health care providers shall maintain and disclose to consumers upon request their written policies outlining the extent to which they refuse to participate in providing to a qualified patient any medication pursuant to this act. The Act states that a health care provider like myself, “is not under duty…to participate in providing a qualified patient with the medication.” But then it goes on to mandates that I provide patients with a referral specifically to someone who is willing to participate, and even to pay for the transfer. So, if I am not willing to kill my patients then I must pay to send them to someone who will? I will not do this, nor will any Catholic hospital. 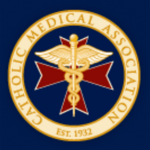 Again, I ask you, is it your intention to shut down all the Catholic hospitals, and to drive out all the Catholic health care providers, putting thousands of vulnerable patients at risk, for a handful of people who demand that doctors must help them kill themselves? H 1991 forces us to act directly against our consciences by mandating that we refer patients to those who will assist in their suicides. It makes us pay even more by forcing us to incur the cost to transfer patients to another provider. Prescribed suicide is wrong for many reason even without the restrictions on religious freedom. We are not free to do whatever we want with our bodies as if we created them ourselves. With every body there is a soul together made by God for God whether we believe it or not. We have a duty to one another to regard the inherent dignity of every human life, and that includes prohibiting the intentional hastening of anyone’s death.